Jessica was born and raised in Emporia, Kansas. She’s a “hometown girl” that is very involved in the Emporia community. She has been married to Austin for twelve years and they have four fun, energetic boys. She is involved with Timmerman PTO. Prior to Ek, Jessica has operated her photography business and has worked for Timmerman Elementary. 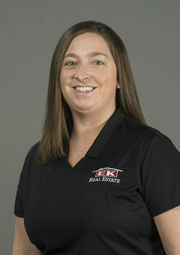 Her knowledge in the area, promptness, and strong attention to detail is just what you need to sell or buy your home. Jessica would love to help you with your next chapter in real estate.